American College of Healthcare and Technology is introducing a new, exciting program to our Riverside campus, HVACR. HVACR stands for heating, ventilation, air conditioning and refrigeration. The HVACR program is 8-month programs that will help students learn the ins and outs of many skills that are in high demand. According to the US Bureau of Labor Statistics, in the next 8 years will have a 15% increase in demand for employees; double that of the average installation, repair and maintenance jobs. With American College of Healthcare and Technology’s new program, students will have the opportunity to learn many skills and trades in just eight months. HVACR is a growing field that offers many different job opportunities in many different areas, including industrial, residential and business locations working in or outdoors. The field presents many options for students to work not only in many locations, but the skills they learn from the program will jumpstart them on a track to success. 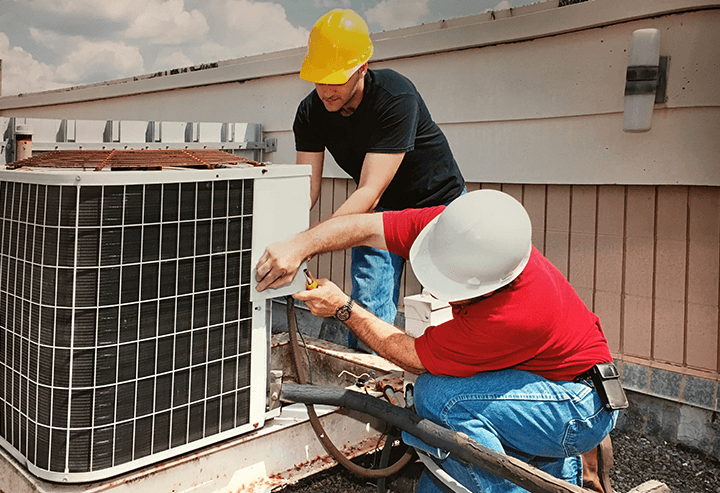 HVACR jobs will be in high demand, with so much construction going on around California and the rest of the country, there is going to be a need for more HVACR professionals, they are essential to making sure businesses run smoothly, and that people in their homes are comfortable. With the many skills students will learn, they will be set up with a career that is thriving, but also has many options for the student to pursue that career. HVACR classes at our Riverside location have two options for your convenience 8 AM- 1 PM and 6 PM to 11 PM. American College of Healthcare and Technology has two convenient locations. Our Huntington Park offers the following programs: Medical Assistant, Medical Billing & Coding, Veterinary Assistant, and Massage Therapy & Physical Therapy Aide. Our Huntington Park campus proudly serves the following communities: Bell, Bell Gardens, Compton, Southgate, Los Angeles, Vernon, Maywood, Cudahy, Florence, South Central LA, Watts, Lynwood, City of Industry, Lawndale, Paramount, Inglewood, Commerce, Downy, Norwalk, Santa Fe Springs, Carson, Long Beach, Bellflower, Pico Rivera, Montebello, Whittier, Gardena, Hawthorne, El Monte, La Puente, Monterrey Park. Our Riverside campus offers the following programs: Medical Assistant, Medical Billing & Coding, Veterinary Assistant, Massage Therapy & Physical Therapy Aide, Dental Assistant, Surgical Technology, and Pharmacy Technician and HVACR. Our Riverside campus proudly serves the following communities: Corona, Moreno Valley, Norco, Lake Elsinore, Perris, La Sierra, Arlington, Jurupa Valley, Rialto, Pedley, Mira Loma, Rubidoux, Bloomington, Colton, San Bernardino, Redlands, Wildomar, Temecula, Murrieta, Loma Linda, Fontana, Grand Terrace, and Glen Avon.